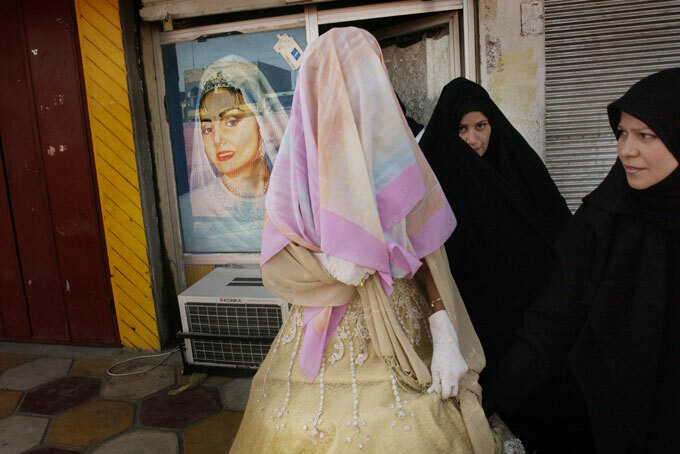 A bride leaves a beauty salon with her face covered; she will not show herself until she reaches the privacy of a family gathering. The Mahdi Army have threatened beauty salon owners advertising pictures of women without their hair covered. Mahdi fighters police neighborhood streets, enforcing strict moral codes.